WIND Mobile Monthly Plans Leaked? Remember how WIND mobile was given life again by the Federal Government and allowed to launch their new wireless network in Canada? Well, it looks like someone with loose lips has possibly leaked WIND Mobile’s monthly plans over at Howard Forums. I’ve already heard from some of you that WIND has setup stores within Blockbuster Video locations. Possibly there will be a web on your phone only type data plan for $10/mn. Unlimited instantÂ messaging , Facebook and MySpace. I don’t have a lot of other details on long distance, there is going to be a number of different plans. If these prices are indeed true, this is good news for consumers. Why? Well because they put pressure on Rogers, Telus, and Bell to either match or beat WIND’s plans. What strikes my eye is the $15 monthly plan that has unlimited WIND to WIND calling. Think about the sheer number of students that would sign up to such a plan! Either way, I’m excited to see what WIND can do to mix up the wireless services we have in Canada. Their prices and launch remind me of Fido and Clearnet back in the day, prior to them both being bought out (by Rogers and Telus). Let’s hope WIND can sustain itself and truly offer Canadians decent prices and good customer service. Lacavera said the company, which will focus on high-end smartphones, will launch with the BlackBerry, but added he is in discussions to begin carrying Apple Inc.’s iPhone at a later date. What do you think of these plans? 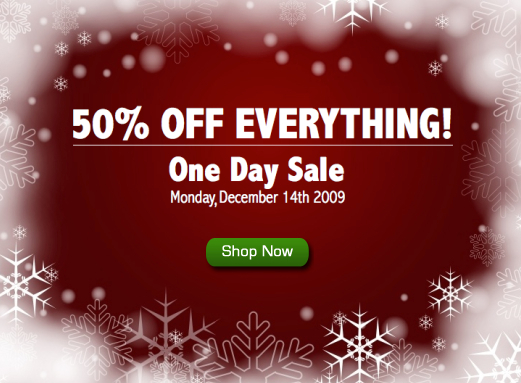 ZAGG 50% Off Everything One Day Sale on Monday!